I have great news! 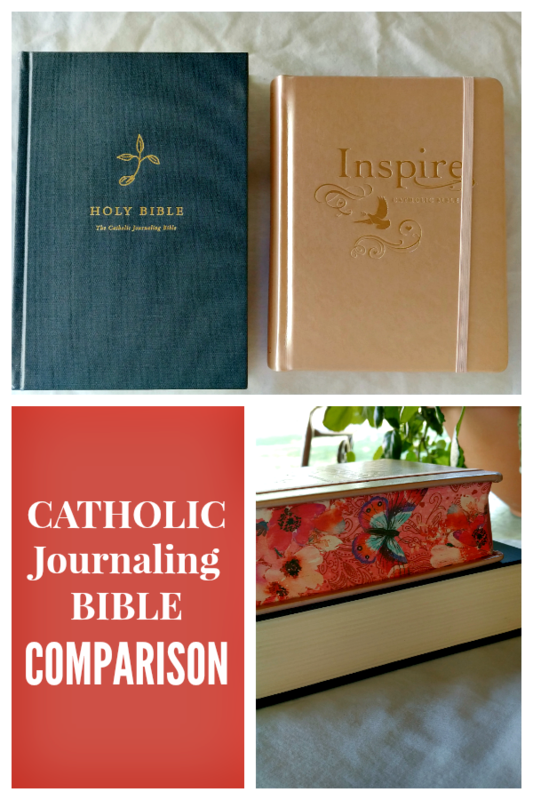 There are now two options for a Catholic Journaling Bible. Well, there will be soon, one hasn’t been released yet but is available for pre-order and with a coupon! 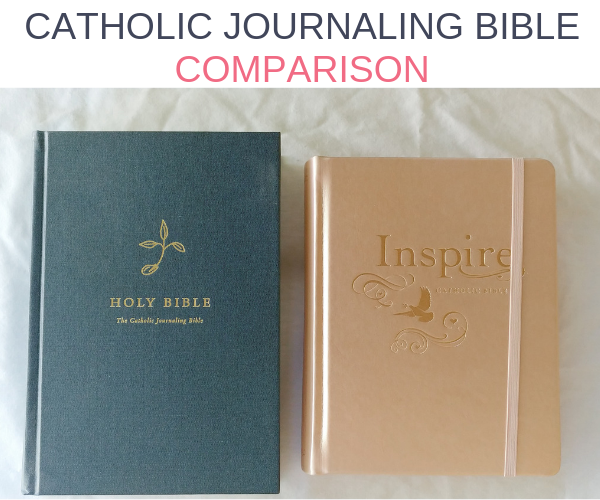 Since I own both of the Catholic Journaling Bibles I wanted to share a comparison, heavy on the pictures for those who are more visual like me. 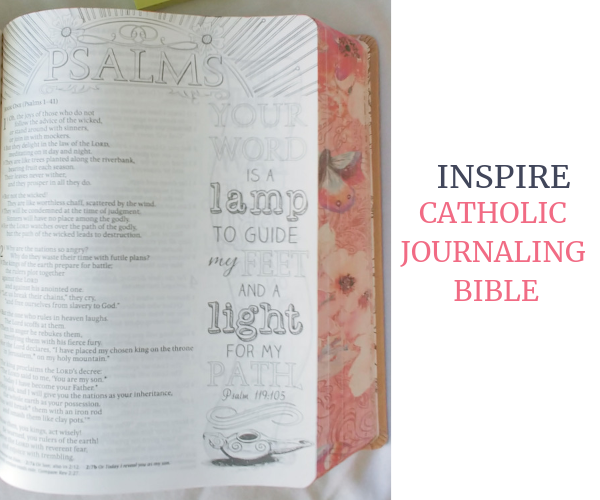 If you have any questions about a Catholic Journaling Bible feel free to email me. The first comparison I want to make is the translation. 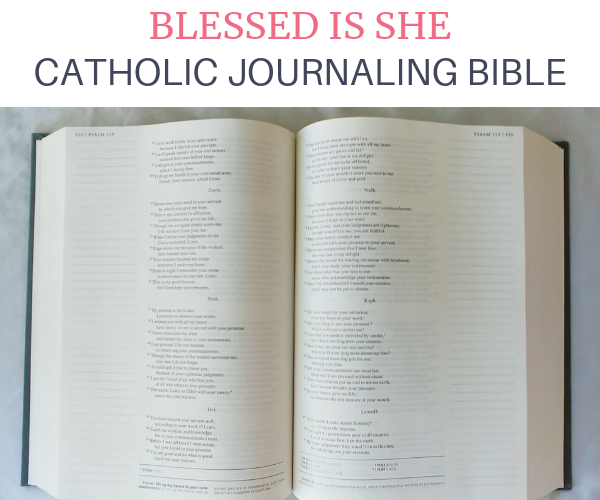 The Blessed is She Catholic Journaling Bible uses the NAB, the New American Bible Translation. 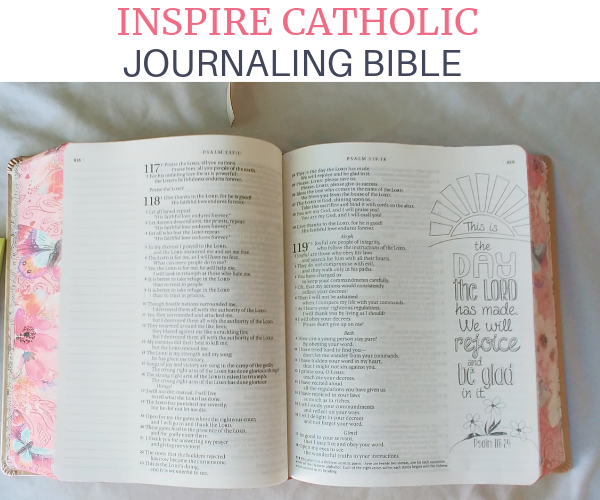 The Inspire Catholic Journaling Bible uses the NLT, the New Living Translation. I’m not a Scripture major or historian so I won’t go into the details of the translations. What I will do is give a couple of examples and my opinion. And now my personal opinion. I just started reading the New Living Translation this year and I really enjoy it. This translation is reader-friendly an I use it for my daily Bible reading. That being said, I don’t use it for in-depth study. I prefer the RSV, Revised Standard Version for study. I’m not a big fan of the NAB, New American Bible Translation, even though I love the cross-references in the Blessed is She Bible using that translation. 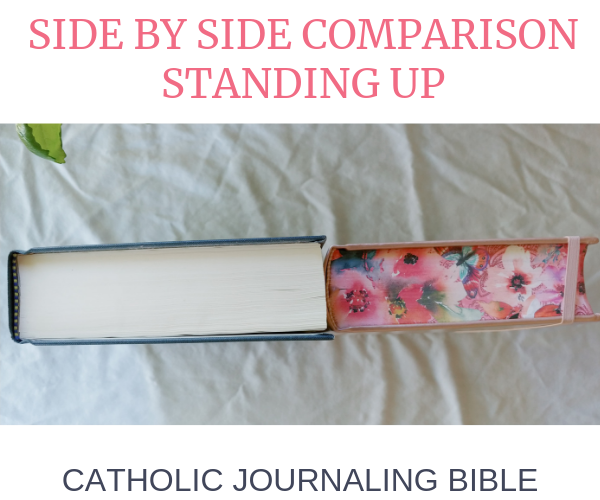 The main Catholic Journaling Bible size difference is in height. The width is close if not exact. Bible size is such a personal preference. 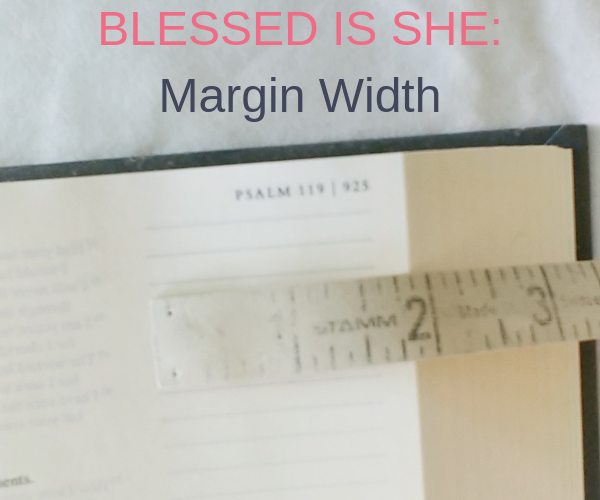 The Blessed is She seems more desk or table friendly because it is bigger while the Inspire Catholic Journaling Bible seems a little more portable just because it is smaller and does have the outer elastic strap. Margin, to be expected based on an overall width of the Bibles, is similar if not exact. They both appear similar in darkness as well, although the Blessed is She is a straight line while the Inspire Bible is little dashes. 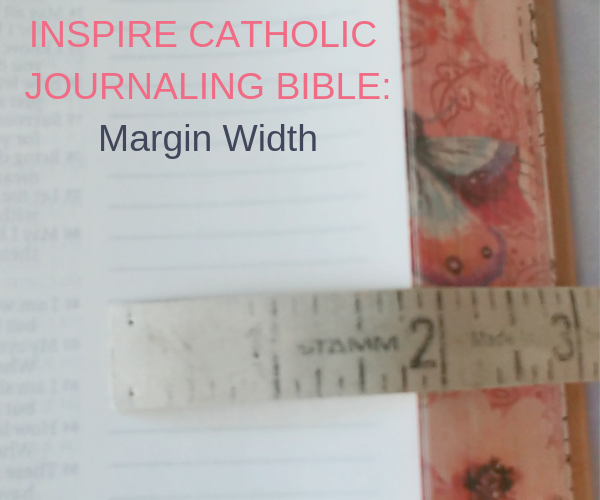 Both Bibles have the journaling margins on each page with the exception of the pages where the Inspire Catholic Journaling Bible has a hand-lettered graphic and decorative margin to color. Both of these Bibles are lovely! Here are a couple things I would keep in mind when choosing between one or the other. 1. If I were strictly going to journal in the traditional sense of note taking, I would choose the Blessed is She. 2. If I were looking for a journaling Bible to use as a semi-serious to serious Bible, I would choose the Blessed is She because of the notes and cross-references. 3. If I wanted to start Bible Journaling but was afraid of messing up, I would choose the Inspire Bible because it has so many beautiful illustrations to start coloring. This could help you add color to your Bible and help you gain confidence to branch out on your own. 4. 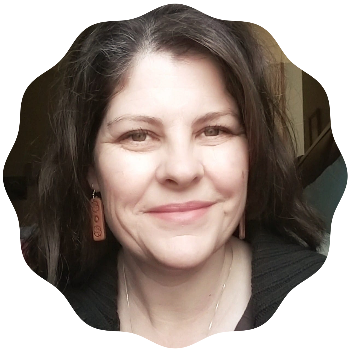 If I wanted a reader-friendly Bible–and this is totally my personal preference–I would choose the Inspire Bible. 6. If I were purchasing a Catholic Journaling Bible for one of my daughters as a gift, I would choose the Inspire Bible, again, because they could easily jump right in and start coloring the already designed margins. 7. 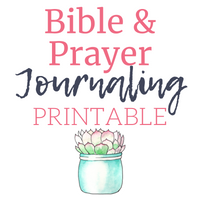 If I were purchasing a journaling Bible for a friend who I knew would care to draw, doodle or get creatively crafty, I would choose the Blessed is She Catholic Journaling Bible. I agree with you, I love my Inspire Bible. Looking forward to seeing what you do with yours! 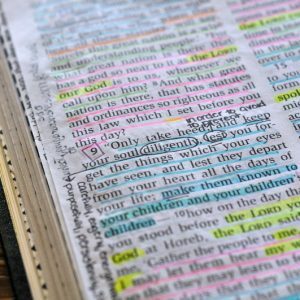 I discovered Bible Journaling, through a Protestant friend & instantly fell in love with it. There was a lack of options for Catholics at the time. 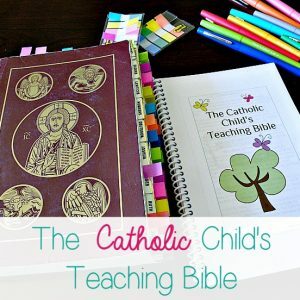 I followed a blog called Catholic Icing & she recommended the Catholic Note-Takers Bible. I did not like it. At all. The print was tiny, pages were super thin & everything bled through. 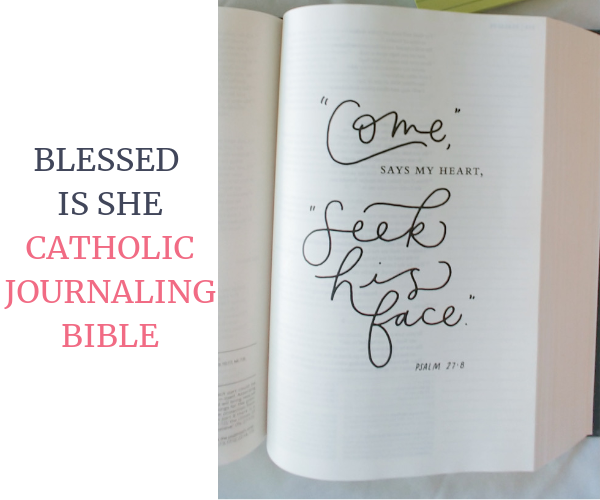 That being said, I was super excited when I heard about the Blessed Is She journaling Bible. I bought it as a gift for one of my daughter’s friends. The parent’s requested a Catholic version of the Bible. So, I ordered two to check it out. Although pretty, it had the same issue. It was more like a study Bible & not really created specifically for journaling. I had bought the Inspire Bible (Turquoise cover) for myself from Mardels in the interim & fell in love with it. I was SO excited when they came out with the new Catholic Inspire Bible. I absolutely love it. It’s so beautiful. I do not use my journaling Bibles for Bible study. I’m doing Legacy Journaling for my kids, so I don’t want my journaling Bible marked up with notes & highlights. I have always used The Catholic Study Bible (NAB) for that. Thank you for this. I have pre-ordered the Inspire Bible and have second guessed myself as to whether it was the right one. After reading your comparison I feel I made the right choice for my purpose. Thanks for this! I didn’t know Inspire was making a catholic edition. I did want to point out, there is another catholic journaling bible by Drawn To Faith on Amazon. It says it has 3 inch margins and heavy paper for watercolor. But I know it’s paperback, comes in 2 separate old and new testaments, and is very large, like 9×11. I don’t own it and haven’t seen it, but I bought a planner by drawn to faith once and liked the paper but not the size. Thank you for reminding me. I have the Drawn to Faith one too and although the paper is nice for creative journaling–there are no lines, I think the translation is a very unfamiliar one. Thank you for doing this. Does the Inspire Bible have all 73 books? Also is it lighter or just as heavy as the Blessed Is She Bible? Can you compare page thickness and quality? It does have all 73 books. I’ll do a video later this week comparing page thickness. Thanks for the idea. I cannot believe I didn’t think to do that with pens and highlighters!! Thank you looking forward to it. Are both these bibles and the RVS have 73 or 66 books in them? Also, what RVS do you use?